To affirm our connection to one another in humanity by feeding those who are hungry and offering programs that improve the quality of life for our guests by promoting dignity, community and self-sufficiency.. Preserving historic Dayton architecture is a passion for Dan and Chris Barton. During the 35 years they have lived in Grafton Hill, they have purchased and restored two historic homes. They are now restoring their third home on the same block and know most, if not all, their neighbors. That home, an 1886 Richardsonian Shingle, “lends itself to entertaining,” says Dan. It also lends itself to feeding the Dayton neighbors they do not know. Back in 2004, when Chris departed for her annual week at a trade show, Dan and his son Stuart decided to disrupt their normal dining routine and spent the week visiting local restaurants. In 2006, they decided to have a weeklong feast at home and invited a few friends. As the word got out to more of their Grafton Hill neighbors, attendance grew, and when Chris’ travel schedule changed, she joined the fun. The answer came when the Bartons met Chuck Wourms, Founder and Executive Director of Food for the Journey Project (FJP). When Chuck explained FJP’s mission, Dan decided to make FJP the party’s beneficiary. 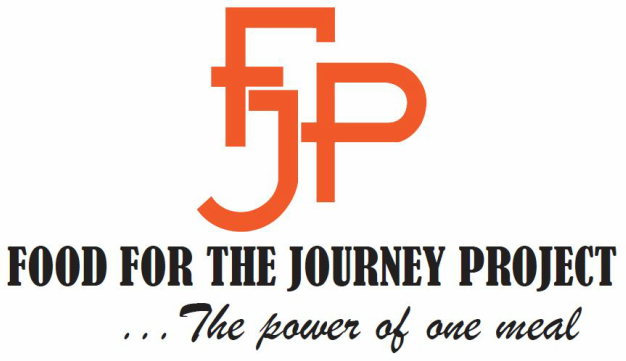 The 2016 invitation asked guests to consider donating to FJP. The Bartons set a place at the table with a single bowl for donations that generated about $600. Now that the party had a purpose, the donations grew along with the attendance and menu. The focus evolved to include providing food for FJP’s guests. “People should not have to worry about where their next meal is coming from,” says Chris. The Barton’s are literally feeding their neighbors with this event because FJP’s Tuesday night dinner service at Corpus Christi Church is about a mile from the Barton’s home. Over 100 people attended in 2018 to dine on a three-course menu of meats, seafood and vegetarian entrées and over 40 side dishes. The party generated $8600 in donations, providing nearly 10,000 meals. You do not need a historic home to be a good neighbor. The next time you host your neighbors for dinner, set an extra place at the table for the hungry ones you do not know.